Are you ready to finally have the life you truly want and deserve? Are you ready to step into the driver’s seat of your future and begin creating it today with crystal clear vision and desire? What if you could live with passion and purpose every day – would you? Want to help others do the same? 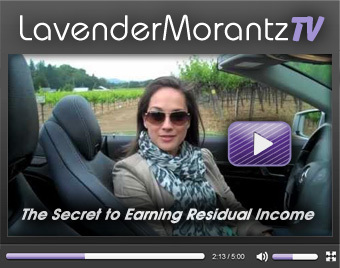 What if you could be TOTALLY financially FREE? Would you like to give back in a BIG way? Would you like to create a legacy for your family? Could you use a tax shelter from your existing income? If your answer to any of the above questions was an unconditional “YES!! !” or even simply a “maybe, show me what you’ve got” please take a moment to fill out the contact form here. From there you will get a better idea of how Lavender and her team might be able to help you achieve your dreams and goals starting today. There is nothing worse in life than feeling stuck and nothing sadder than a life unfulfilled. Why not learn from an expert business coach and top industry mentor who took life into her own hands and paved a previously unruly road for many others’ smooth success as well?